WE BELIEVE IN A FUTURE WHERE HEALTH CARE PROFESSIONALS HAVE ACCESS TO RELIABLE AND FREE EDUCATION IN EVERY CORNER OF THE WORLD TO HEAL THEIR PATIENTS. Health4TheWorld is building the largest online free education platform for medical professionals including doctors, nurses, community health workers and allied health care professionals. This is to make reliable educational resources available to health care professionals in under-resourced areas. The teaching modules are created by leading experts in the field from premier academic institutions in the United States who have volunteered to teach and give back. Look for skills and knowledge that may help you advance the care of your patients. Create your personal profile online for free so you can access courses and monitor your progress. Interact with faculty and other learners taking the courses to enhance your learning experience. Learn from expert faculty from premier academic institutions in the United States. Test your knowledge and learn the skills and knowledge needed for your work. Access modules from your smartphone or computer anytime and learn at your pace. “The health4world talks have been very enriching. We appreciate very much the opportunity that was given us to participate in these talks. There has been a series of talks so far and we in Cameroon have been part of all of the talks. The residents and faculty here at Mbingo find these talks quite uplifting, especially with the new information about disease conditions and new management approaches that have been implemented to improve treatment outcomes. All of the talks have been inspiring, and we gained much from the talks on heart failure, EKG interpretation, Polio, Atrial fibrillation, Breast cancer and the others. 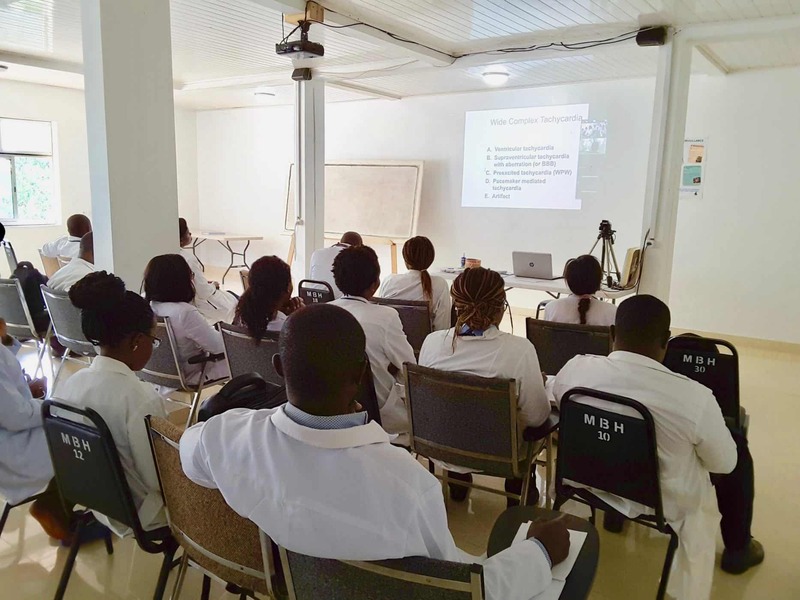 Infact, all the talks were very educative, the residents and faculty loved it; they took notes and I am certain that these talks will positively affect the care we offer to patients here at Mbingo Baptist Hospital in Cameroon.